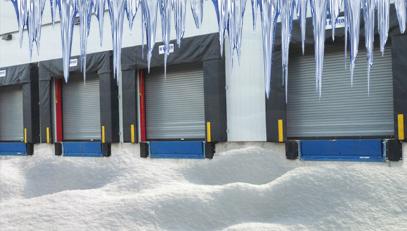 Winter Door Service Tips | O'Brien Lifting Solutions Inc. The cold weather is nearly here and for Canadians and that means it’s time to bunker down. Manufacturers are letting down the doors that have long been left open to enjoy that warm summer breeze. If you are just now realizing your doors are in desperate need of some love and attention, you aren’t alone. The fall season is by and large the most popular time for preventative maintenance and door service. Get the inspection scheduled, even if everything seems fine, just do it. Get ahead of the curve by booking your winter inspection in October. Combine the inspection with any winterizing requirements you have to enjoy additional cost savings. Appointments fill up fast as we approach the first snowfall of the year, get it on your calendar and enjoy some early peace of mind. Communicate your expectations to your door servicer prior to the call and again with your designated door-technician at the time of the inspection. Request the servicer provides you with an inspection checklist and details of the service call for your sign-off and approval. Have the technician check, check and double check absolutely everything. This is not the time to cut corners and hope problems hold off until spring – winter downtime is often longer, more costly and strenuous to your business operations. Don’t Just Service It, Winterize It. Weatherstripping is an upfront cost that saves you a ton in yearly overhead costs. Sealing up air gaps in your doors will save you a bundle in heating and air conditioning throughout the entire year. Protecting against the natural elements like rain, melted snow and other invasive weather will save you in facility maintenance and the associated costs of dealing with workplace hazards. Keep the guys and girls in the shop happy, warm and productive this winter by weatherstripping and winterizing.